Unprecedented shifts in the age distribution and diversity of the global labor pool are underway. Within the decade, as the massive boomer generation begins to retire and fewer skilled workers are available to replace them, companies in industrialized markets will face a labor shortage and brain drain of dramatic proportions. Ken Dychtwald, Tamara Erickson, and Robert Morison argue that companies ignore these shifts at great peril. Survival will depend on redefining retirement and transforming management and human resource practices to attract, accommodate, and retain workers of all ages and backgrounds. Based on decades of groundbreaking research and study, the authors present innovative and actionable management techniques for leveraging the knowledge of mature workers, reengaging disillusioned midcareer workers, and attracting and retaining talented younger workers. 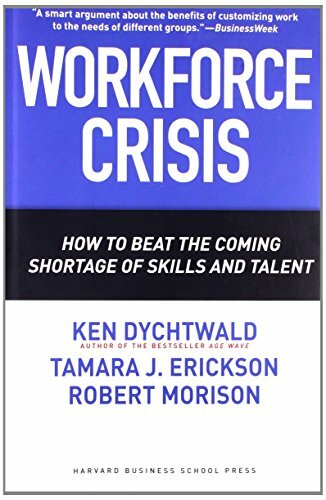 This timely book will help organizations sustain their competitive edge in tomorrow’s inevitably tighter labor markets.